Fenwick Island Vacation Rental – The Refuge, 37369 Hidden Bay Dr. | Fenwick Island Fenwick Island Rentals. Lovely and spacious this beach home is removed from the hustle and bustle and just perfect for family get-togethers! Located in the beautiful and quiet neighborhood known as The Refuge you are just 3 miles west of the beach, shops and restaurants in Fenwick Island. Featuring 5 bedroom and 5 baths, there is plenty of room for everyone to spread out and relax! Open concept living includes game room with fuse ball table, central air conditioning, full kitchen with microwave, dishwasher, washer/dryer, 6 TVs, WiFi, outside shower and deck. Great outdoor area overlooking a pretty little pond and only a short walk from the awesome oversized community pool. The community offers many activities including sidewalks for walking or jogging, fitness center, amazing pool, tennis and basketball courts. Community Fishing dock a half block away from the house by the boat ramp. Just the perfect place to get away from it all and make special beach vacation memories! Mini-weeks available off season. Overall, we had a wonderful week and the location was perfect. 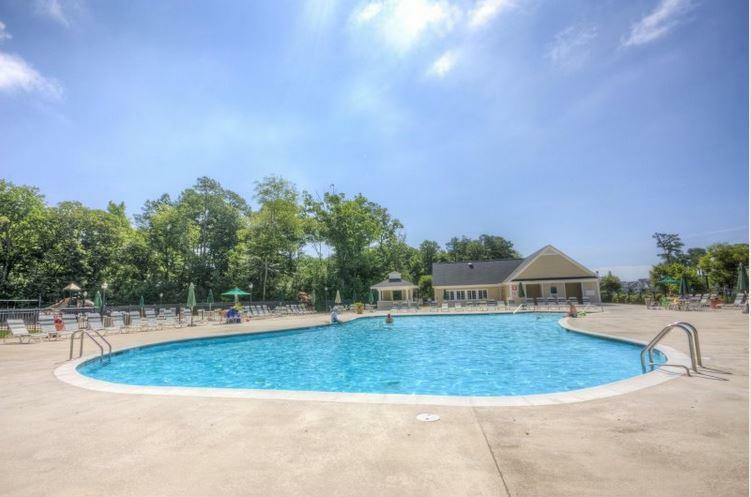 Close proximity to Ocean City and Rehoboth Beach and many other attractions. My husband went fishing 2 days, we went jet skiing, mini golfing, enjoyed the pool so a good time was had by all. I will say that the house itself could've been cleaned better. The front porch had a great deal of dirt build up, the deck in the back looked like it hadn't been swept since last fall. The outdoor shower wasn't working either. There was mold on one if the shower liners. The handle on the refrigerator was broken as was the lock on the sliding glass door. The furniture was a bit outdated and could be cleaner. This house is beautiful.. Just needs to be cleaned better and updated. This was our second year at this property and we had a fun time. However, the place needs an update. The outdoor shower hasn't worked in two years, the trunk that is used as a coffee table is failing apart and huge tacks are falling out. The sofa is completely worn out and needs replaced. When we arrived the sliding glass door latch was completely missing and it was impossible to secure the home (upon leaving, it was still not replaced, but rigged by a maintenance man). With the price increase from 2017, I thought there would be some improvments made. This property could be a gem, but needs some TLC. We had a wonderful weeks vacation in this large 5 bedroom home in a beautiful Refuge community. The home was large enough for both my sister and my families and had a great open space for entertainment. I highly recommend this home.